University of Central Florida’s Rosen College of Hospitality Management teaches and inspires the best in the latest of hospitality industry standards. This high quality level of service is brought into the industry with each graduate who enters the workforce. What’s best about this program is that in addition to inspiring the future leaders to excel is that they are also nestled in one of the world-famous vacation destinations of the world. Right outside of their campus doors are more than 100,000 hotel rooms, thousands of visitors from all over the world, and exciting attractions and theme parks each with their own lessons of excellent hospitality. 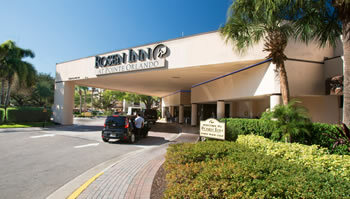 Just south and within a short walk of the campus is Rosen Shingle Creek. Together, Rosen Hotels & Resorts and UCF work hard to create bright futures for graduates of the Hospitality Management program. Learn more about the UCF Rosen College of Hospitality Management.